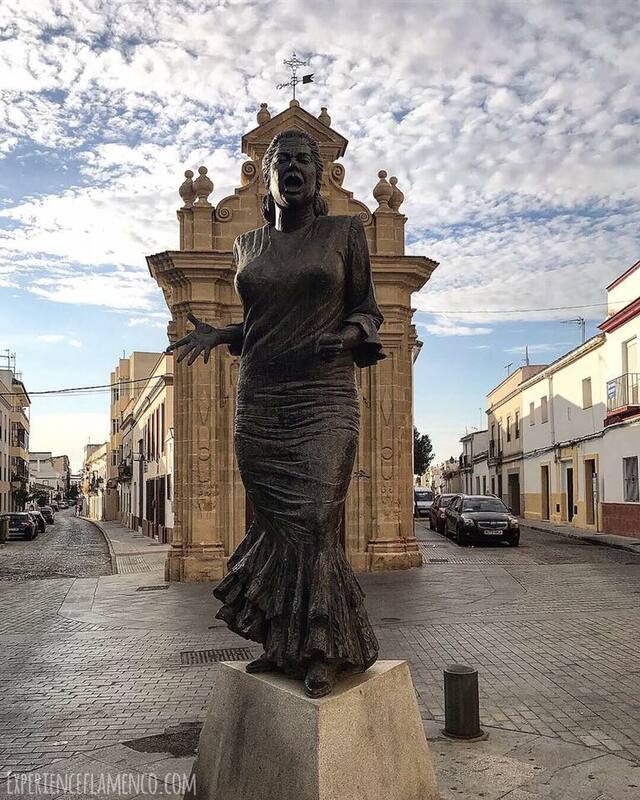 I’ve been home from the Flamenco Tour to Jerez for over a month now, but I often find myself dreaming that I were still there. What do I miss the most? Our classes with Mercedes? The sun? Bulerías? The community? Hanging out with new friends? The shows? The relaxation? The walking around? I miss it all! 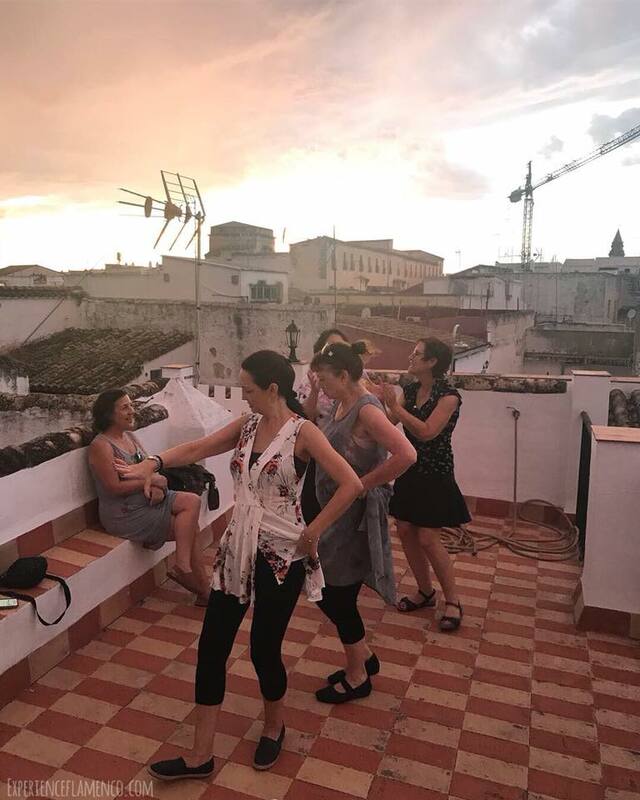 We were all on a flamenco high after our private show hosted by Mercedes where Vanessa Rodríguez and Aurora Caraballo (members of Compañia Mercedes Ruíz) danced their hearts out. Below you see Mercedes herself dancing por bulerías. ¡Olé! After all of those hours in dance class a soak and massage from the Hammam Andalusi was well-deserved. Pictured are statues, monumentos, of Lola Flores, La Paquera, and La Chaty. 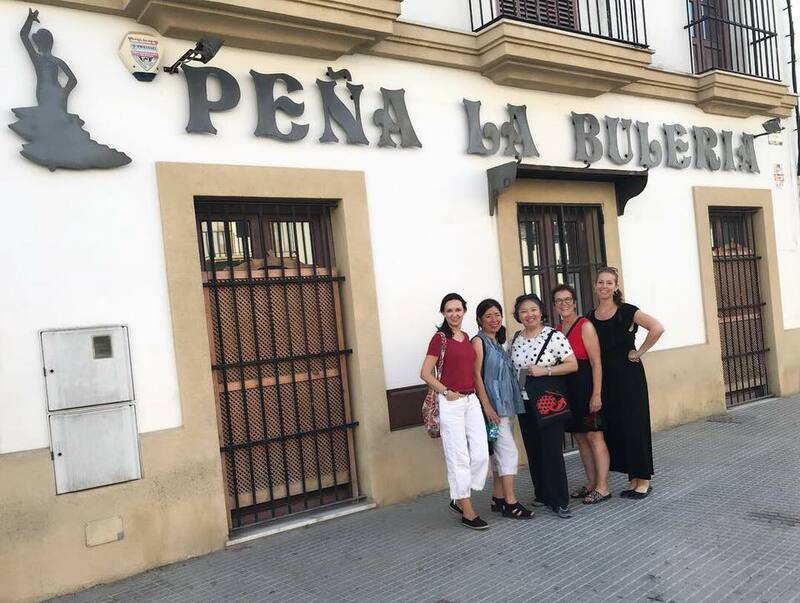 It’s impossible not to soak up all kinds of good flamenco energy living in the San Miguel neighborhood, also known as La Plazuela. So many beautiful things to see as you walk around the town... Pictured are the Catedral, the Alameda Vieja, the Alcázar, and the Church of San Miguel. So many subtleties to take in. Here you can see Mercedes breaking it down for us. Most days feel a bit like a fiesta in bulerías class, but our final day especially felt this way. Ani set things up “fiesta-style” meaning we all sat in chairs and did palmas while one by one people got up and danced. You can see video of Esther dancing here. Practicing bulerías on the rooftop under an amazing sunset (and a full rainbow) couldn’t get much better than this. We visited Bodegas Real Tesoro and Bodegas Urium, two very different experiences. At Bodegas Real Tesoro apart from learning about sherry and tasting it (of course) we also toured the bodega grounds, saw the horses and carriages, viewed the private art collection including original works by Picasso and Dalí. Bodegas Urium is a small family run boutique bodega where owner Alonso told us jokes, taught us a thing our two about sherry as we tasted many different varieties and sang sevillanas for us. We watched a movie on the history of flamenco and took at peek at the flamenco artwork and the library and picked up a few posters. Practicing bulerías at the studio in our apartments, reviewing notes from their little books, trying moves out at Fátima’s, one of the ladies even took a guitar lesson! What can I say? We had fun. 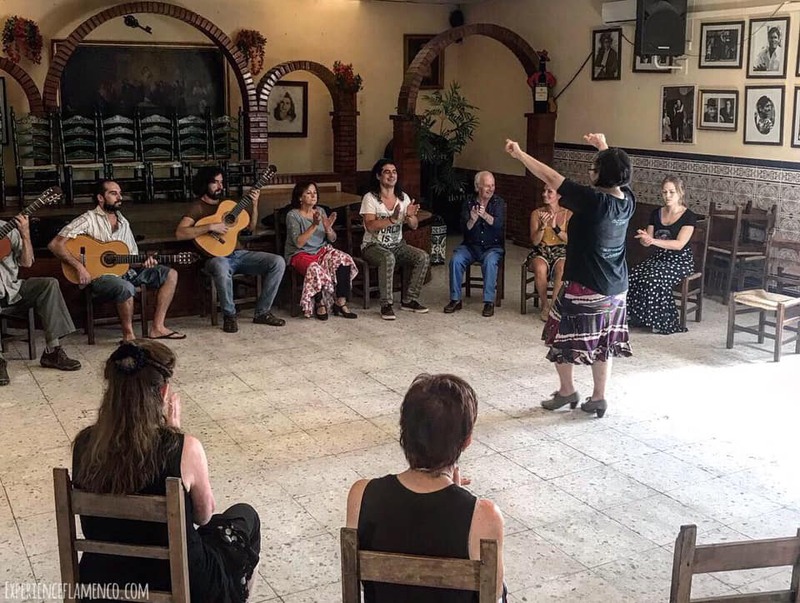 Want to know more about this flamenco vacation? 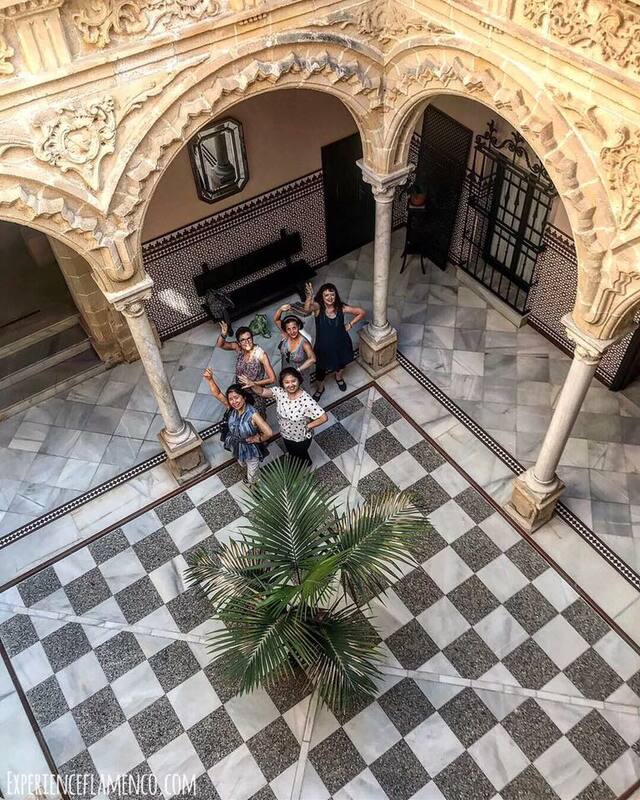 Click here to sign up and find out what it’s like to be a dancer on the Flamenco Tour to Jerez. You can see more pictures from the Fall 2018 Tour here.